Manchester United have joined the race to sign Paris Saint-Germain midfielder Adrien Rabiot at the end of the season. The France international midfielder has already held talks with Barcelona over a possible switch to the Camp Nou, as well as with Chelsea, Arsenal and Tottenham, with his contract at the Parc des Princes running out this summer. But The Sun claims that Manchester United are looking to hijack their rivals' transfer plans by bringing Rabiot to Old Trafford. 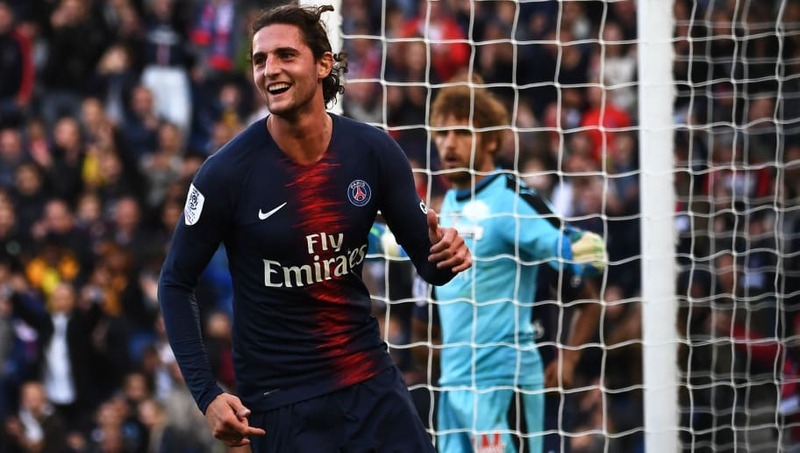 United's hierarchy were cautious about completing a deal for Rabiot due to a number of issues off the pitch which has seen the midfielder pushed out of Thomas Tuchel's first team, having last featured in a matchday squad on 5 December. But the club have recently made a u-turn and are now considering Rabiot as a long-term replacement for a number of their ageing midfielders - with the likes of Nemanja Matić, Ander Herrera and Juan Mata all on the wrong side of 30. It was believed for some time that Rabiot would almost certainly be moving to Barcelona at the end of his deal, but the signing of Ajax star Frenkie de Jong has allowed other clubs to come in for the Frenchman as there are now concerns over first-team football in Catalonia. I’ve got a feeling that Rabiot will end up as Meyer. They both thought they were world class players and refused to stay at their respective clubs... no one wanted Meyer until Crystal Palace came along - and so far, no one wants Rabiot either. He’ll probably end up at West Ham. The Sun's report claims that Rabiot is one of the names on Ole Gunnar Solskjaer's transfer wishlist for this summer, something which all but confirms the Norwegan will be appointed as their full-time manager. It had been heavily debated if Solskjaer's form in the Premier League would be enough to land him the job at Old Trafford permanently, but the club's outstanding comeback against Paris Saint-Germain no less now has him as the standalone contender.